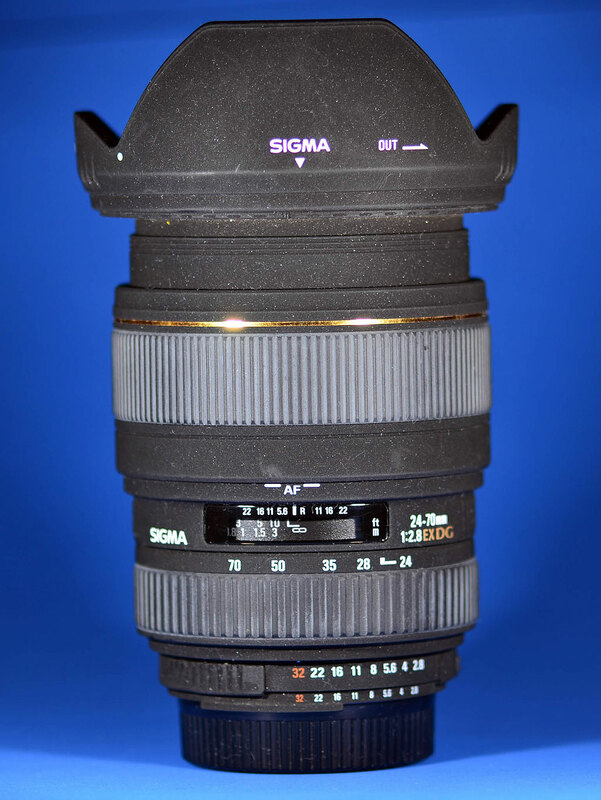 I bought the Sigma DC 17-50mm f/2.8 EX HSM hoping it would be the answer to my need for a mid-range, fast zoom lens. One of my photography students recently bought a Sigma 24-70mm f/4 “Art” lens, which represents Sigma’s efforts to improve their image quality and reputation for inconsistent manufacturing. 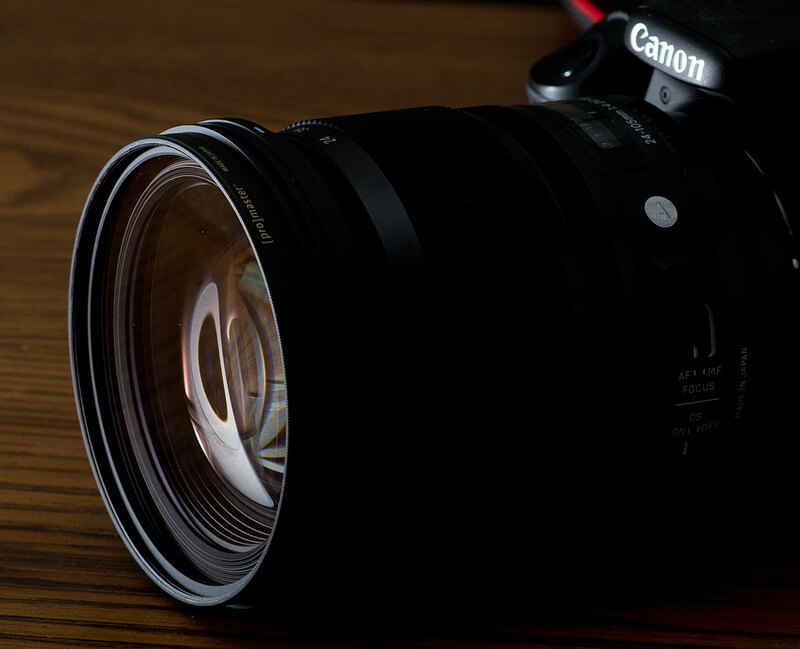 24-70mm on a 24x36mm sensor is both versatile and potentially boring. Like most professional photographers, I like equipment that is transparent. No, I don’t mean I want my cameras to be made out of clear plastic, though that might be really interesting. I mean that I want my equipment to get out of the way, do it’s job, and allow me to concentrate on the real meat of photography, the moment. I don’t want to worry about or struggle with my gear while the action and the intimacy and the light come and go. 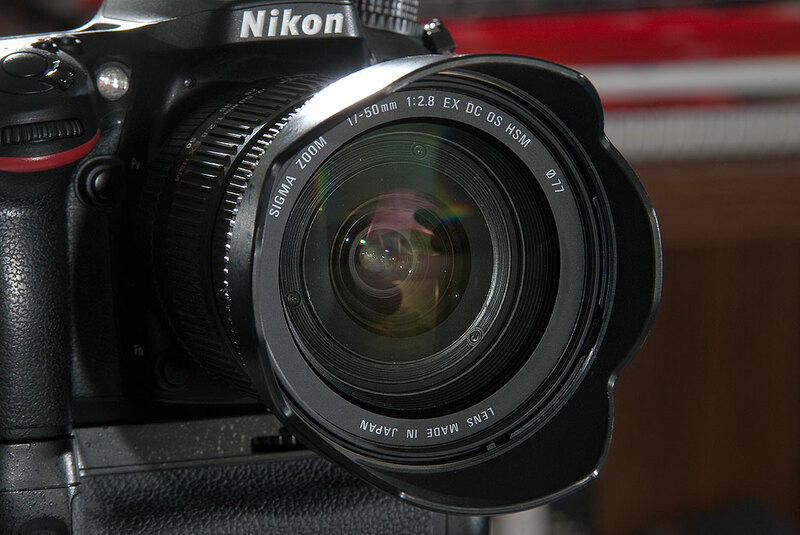 One lens I bought in 2011 in hopes of working within this paradigm is the Sigma DC 17-50mm f/2.8 EX HSM for use on my Nikon DSLR cameras with their 15x24mm-sized sensors. I originally picked up this lens just prior to my sister’s wedding (link.) Since my wife and I were traveling to New Orleans for just the weekend, and since the wedding was entirely at night indoors, I wanted a lens that would fill my needs for that event: it would have to be fast-focusing, sharp wide open (f/2.8), have optical image stabilization, and be reasonably well-constructed. Another view of the Sigma 17-50mm f/2.8; despite its optical shortcomings, it is a well-built, good-looking lens. 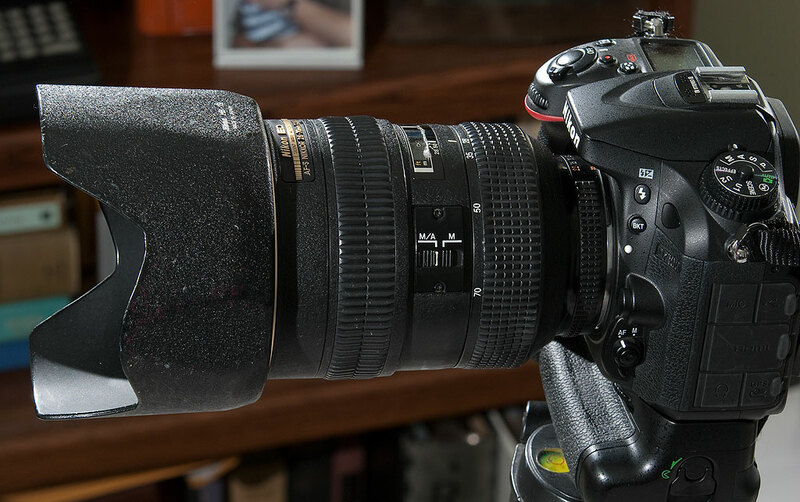 This is Michael’s 24-70mm f/2.8 Sigma I borrowed to shoot my step-daughter’s wedding in 2009. Part of the reason I thought this Sigma might be a good choice was my success with a Sigma 24-70mm f/2.8 EX-DG I borrowed from Michael to shoot my step-daughter’s wedding in 2009 (link). I liked everything about the lens except that it wasn’t quite wide enough, and it wasn’t mine. It was sharp wide open, handled well, and made gorgeous 14-point sunstars when stopped down. My very first field testing of the 17-50mm seemed to go well, but every lens is sharp at f/8. I didn’t spend $600 for this lens to shoot at f/8. I spent this money so I could take low light to its limits, and that would come just a couple of weeks later at the wedding. 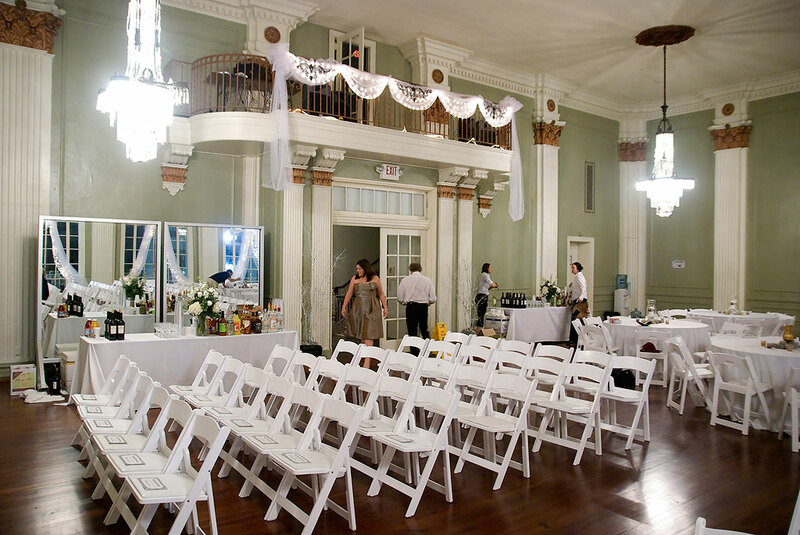 Hosted by the New Orleans Athletic Club, the venue was gorgeous, but lit by just four incandescent chandeliers. I shot it all at ISO 3200, at f/2.8, which put me in the 1/60th to 1/125th of a second shutter speed range. This is the low-light margin that tests everything: sensor noise, optical stabilization, lens sharpness, and photographer’s skills. If any one of these factors falls short, image quality suffers, and this lens was the weak link. It just wasn’t sharp wide open, at f/2.8. Michael and Abby were my second shooters, with the AF Nikkor 85mm f/1.8 and the AF-S Nikkor 35mm f/1.8 lenses respectively, and their stuff was very sharp at apertures like f/2.5 and f/2.0. This was the lighting for the first test of the Sigma 24-70mm, the New Orleans Athletic Club’s ballroom, lit my four incandescent chandeliers. One item I hit hard in my Intro to Digital Photographer class is white balance. This might seem like an obvious teaching point, but readers might be surprised by how many images submitted to my newspaper have ugly colors casts, particularly yellow and red. The wedding in New Orleans was lit entirely with incandescent lights, and using the appropriate white balance setting saved us a lot of headaches in post-processing. In the end, my images from New Orleans were great, and my sister and new brother-in-law were very happy with them, but I wasn’t pleased with the Sigma, which stood out as the weak link. I have since shot a couple more weddings with the 17-50mm, and while the images were acceptable, I want more from a big, heavy, expensive lens. 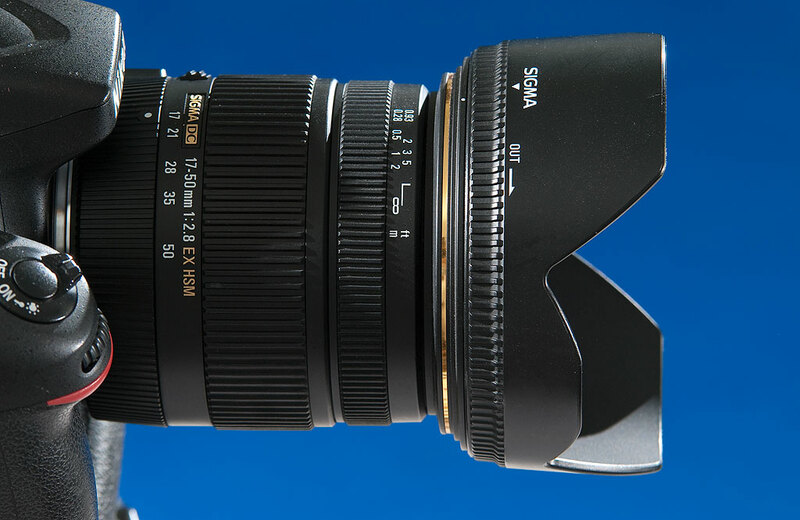 Another possible replacement for the Sigma might be the Nikkor AF-S 28-70mm f/2.8. I will look at options. My instinct is to shoot with my 12-24mm f/4 Tokina on one camera, and my AF-S Nikkor 85mm f/1.8 on the other, but that still doesn’t give me a one-camera travel wedding solution. It will need to be a zoom, and it will need to be wide-to-portrait length. One possibility is picking up a 24x36mm sensor-sized camera on Ebay like the Nikon D700, and using something like my Nikkor AF-S 28-70mm f/2.8, which is heavy but absolutely dazzlingly sharp. The 24-70mm, 28-70mm, 24-105mm focal lengths on a 24x36mm sensor are approximately equivalent to the 17-50mm, 18-55mm lenses on a 15x24mm sensor. While this is a versatile field of view range, it also has the potential to be bland and boring, and requires us to push hard at the short and long ends to make our images really interesting. 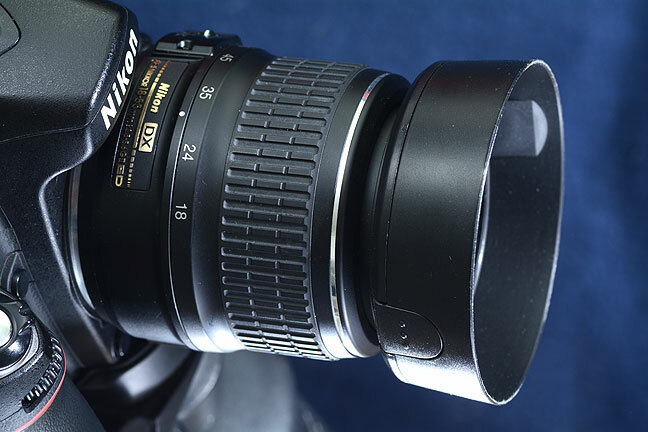 This is the most common lens in photography today, the so-called “kit lens.” This is Nikon’s Nikkor AF-S 18-55mm f/3.5-5.6, but every camera maker has one. If I have to shoot at f/4 or f/5.6 to get sharp results with my Sigma 17-50mm, why don’t I just use a kit lens at a quarter of the price and half the weight? I was fascinated of course by all of this, but I really wanted to comment on the cutline to your last photo. I sidelined my 18-55mm kit lens for more than a year, preferring to use at least two other lenses, for whatever reason. However, I have gone back to the kit lens and find I am using it for at least 70 percent of everything I shoot today, from outdoor portraits to indoor news events. By making some tweaks here on there on aperture, ISO, exposure compensation, etc., and then making a few more tweaks to exposure, etc., in Photoshop, I find that it works very well. It pretty much stays seated on my camera all the time now. And, yeah, it’s cheaper and lighter than almost anything else! Intelligently stated. “This is the low-light margin that tests everything”. This is how memes are born. Your post clearly shows the limiting parameters we are asked to produce imagery in. Now “the low-light margin” is part of my vocabulary. Ah, that IS frustrating, especially for a lens in that price range. The lens is sharp wide open. It just cannot autofocus correctly. Did you bother to test with live-view focusing ? At the time I got this lens and was testing and using it, I was not using cameras equipped with live view. Manual focus capability may be possible with a manual focus lens, but one thing that defines success with an autofocus lens is that it can autofocus. By that definition alone, my 17-50mm fails as a useful lens for most of my work.